On Sept. 8, the varsity men’s soccer team took the field at Northside to defend its turf against its rivals: Walter Payton College Prep. 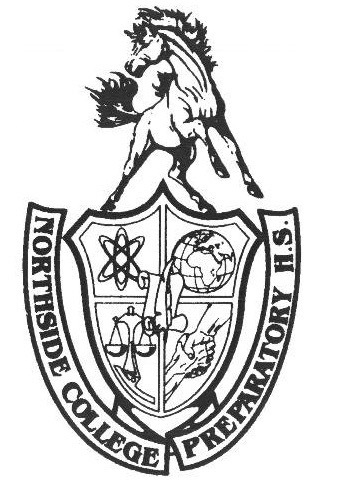 The rivalry that exists between the two schools goes back to 1999, when Northside was founded. The schools meet every year to play one game, and whoever comes away victorious has the honor of holding “the hydrant” trophy until they meet again. Nobody really knows exactly how the passing of “the hydrant” started, but forward Nick Grott, Adv. 809, speculates that “it has something to do with when one of Northside’s teachers took the principal position at Payton.” The folklore surrounding the annual match is what makes it so heated and popular between the two schools. It is because of this rivalry that the crowd at the game was much larger than most other Northside sporting events. After winning last year’s meeting, the Mustangs had high spirits leading into the game. Not only were they playing for “the hydrant,” but also to preserve their undefeated season. The match started off slowly, with both teams battling it out on defense. Still, the tension was very high despite the uneventful play in the first few minutes, as there seemed to be a few words exchanged between players on both teams. The tide began to turn when Guy Lohoua, Adv. 808, attempted a bicycle kick and nearly converted on it. Even though he did not score, it was enough to ignite the crowd and turn the momentum in Northside’s favor. Moments later, Noa Choi, Adv. 802, scored off a corner kick, which gave Northside a lead that they would not give up. The brisk, cloudy day certainly fit the serious mood surrounding the field as both teams went to war against each other. Payton played aggressively following Choi’s goal, but struggled to get any good shots off, thanks to Northside’s brick wall defense lead by Evan Carman, Adv. 008, and Jacob Yosowitz, Adv. 803. In the final few minutes before halftime, Northside kept the ball on Payton’s side of the field and relentlessly fired off shots. Payton’s goalie was able to make a couple of nice saves, but the power of Northside’s offense was too much to handle. A series of spectacular headers and passes that left the goalie dumbfounded eventually lead to an easy tap-in goal by Jack Mullen, Adv. 906, while Lohua picked up the assist. Going into halftime up 2-0, victory seemed to be in sight for the Mustangs. The Mustangs did not let up until the final whistle blew. This 2-1 win not only gave them “the hydrant” for another year, but also allowed them to move up to the 18th spot in the overall state rankings. All in all, it was another successful day for the varsity men’s soccer team, and Northsiders should continue to follow the team in their #RoadToState.